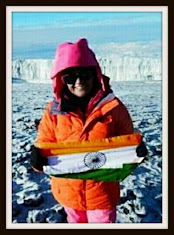 a two-day-long North East festival called “North East Calling” organized by the ministry. The festival’s programme included music shows, home chef contest, college choreography contest, school and open quiz, rock shows et al. Singer Zubeen Garg who also occasionally sings in Bollywood movies, also performed live on the first night at India Gate. But the major highlight, on the day 2, was the young officers’ walk on the ramp, showcasing handlooms of Northeast India. They were seen wearing various traditional NE outfits. Many senior IAS officers were also present on the occasion, cheering up the young talents. 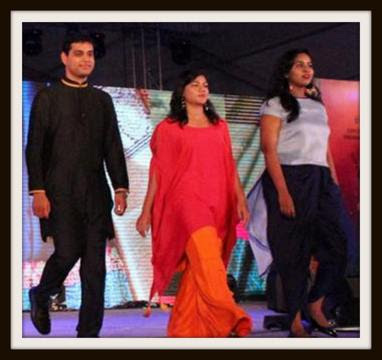 The 2015 batch IAS officers, who have currently been serving in various Central government ministries as assistant secretaries, participated in the fashion show, thereby possibly becoming the first IAS officers to walk on a ramp in a public function. The decision to rope in the young IAS officers was taken for the larger cause of promoting handloom products in India’s Northeast, a relatively backward area inhabited by a large number of tribal people. Ira Singhal, the topper of the batch who is differently abled, was also seen participating in the fashion show. The Ramp Show by IAS officers’ of 2015 batch, designated as Assistant Secretaries to GOI, at New Delhi’s India Gate has, on Sunday evening , Sept 10, 2017 ,dented the image of bureaucracy in India. How much was spent on event managers to prepare the un-initiated IAS officers in boastful display of their hidden talent.